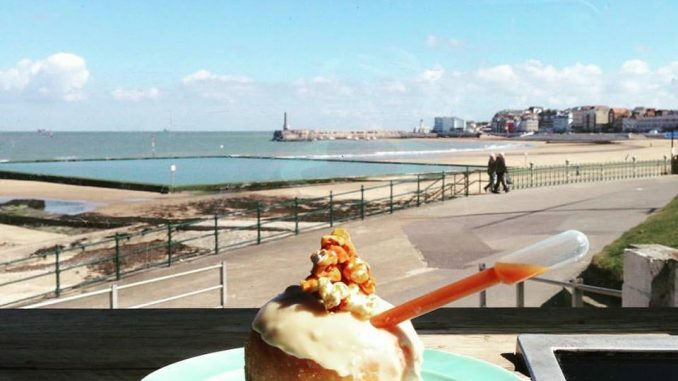 A street food ‘hub’ with a double-decker bus as the anchor has sprung up on the promenade in Margate. 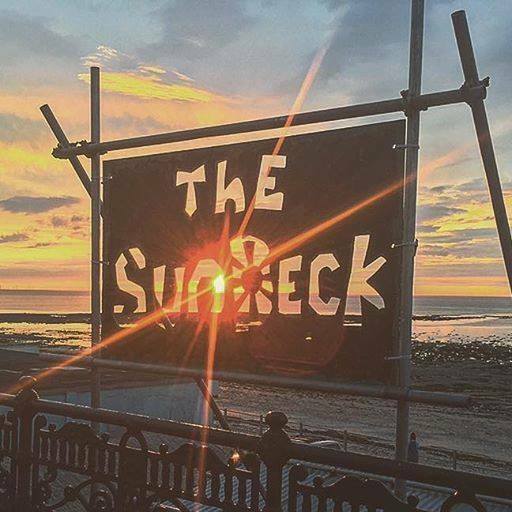 Vegan, curry, fish, juices and gluten and dairy free ingredients are all on offer at The Sun Deck on Royal Crescent Promenade. 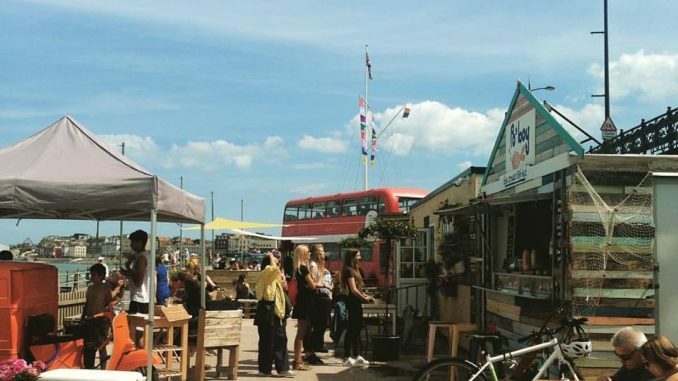 The Bus Café, Chalk, Po’Boy Creole fish hut, the Curry Shack, Juice Project, Marmar Beach Bar and the Mala Kaffe/Cooper and Wolf’s coffee cart make up the eclectic, independent businesses offering locally and ethically sourced food with big flavours. 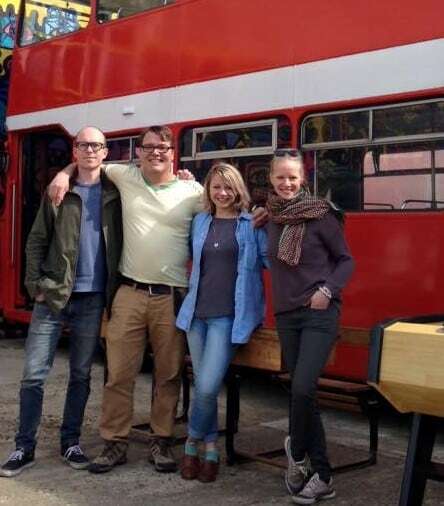 The site was first taken on by Bus Café bosses, couples Simon Lindley and Jodie Ellena and Alexander Muir and Lois Du Plessis, in February after discussions with site owner Nick Conington of Sands and Nayland Rock hotels. The four went into business after a conversation in a pub revealed a shared dream to run a café. Originally based at Fort Yard the move to the prom has opened up a new audience – and offers an amazing view. The two couples, both living in Margate, bought the bus in March 2015 two weeks after they first discussed the idea. 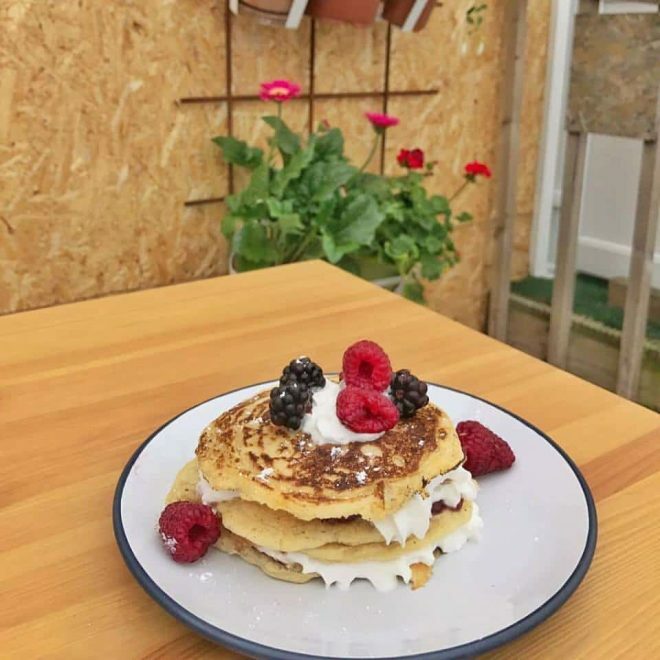 It arrived from Liverpool and they set about a 6-month project of ripping out the interior to then create a kitchen downstairs and café seating upstairs, all the while trading with customers able to tuck into barbecue offerings. 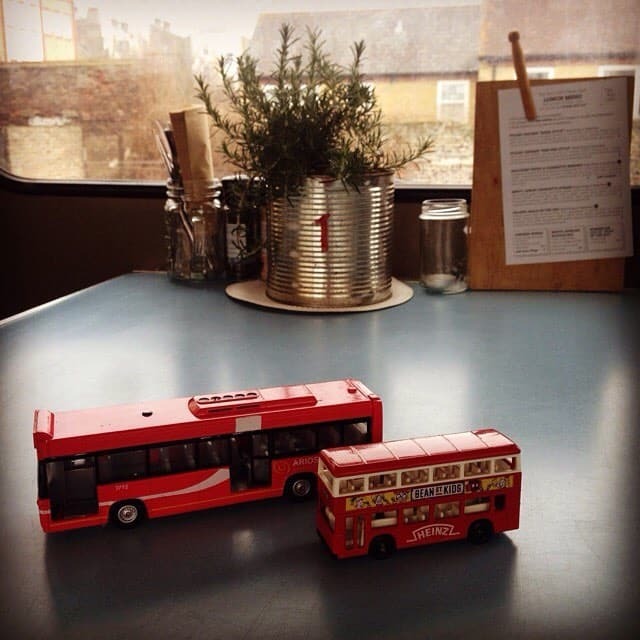 Bus Café products are bought through local businesses including Quex Barn, Kent Collections and Rooks. They have also formed a partnership with the Garden Gate Project based at Northdown Park. Customers can feast on hashed mounds at breakfast time, with varieties including the Hangover Hash – potato & red onion rostie, re-friend baked beans, mumbled eggs, peppered mushrooms, crisped bacon lardons, chunky sausage pieces served with homemade tomato ketchup – or the vegan hash with beetroot, potato and red onion rostie, wild rocket, crushed avocado with lemon, homemade hummus, falafel balls “of the day”, charred cherry tomatoes with homemade salsa verde drizzle. 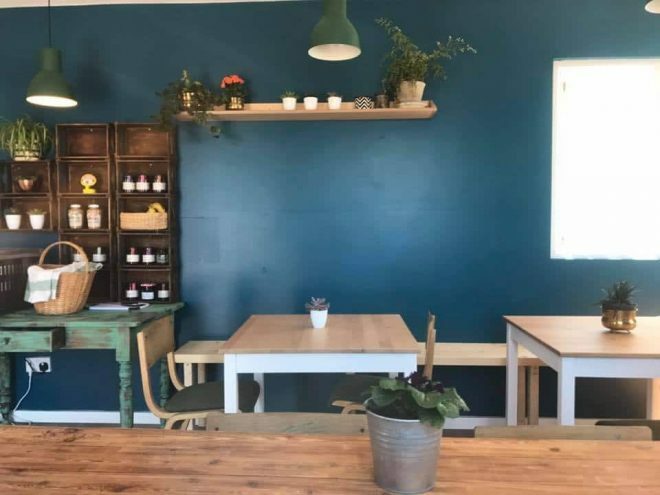 And there are more taste-bud busting offerings on the lunch menu with an array of meat and veggie salad boxes and wraps and Xander and Lois specialising in South African barbecue food. 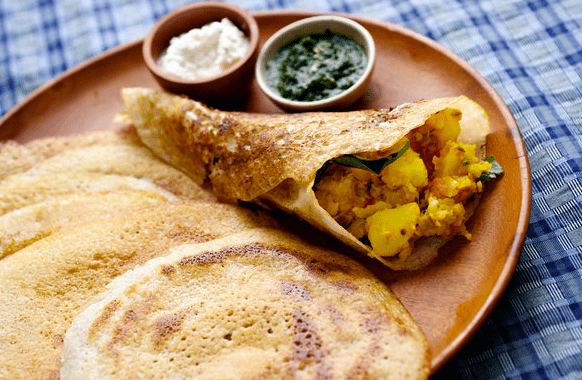 All are made with fresh, good quality ingredients from local farms and organisations. 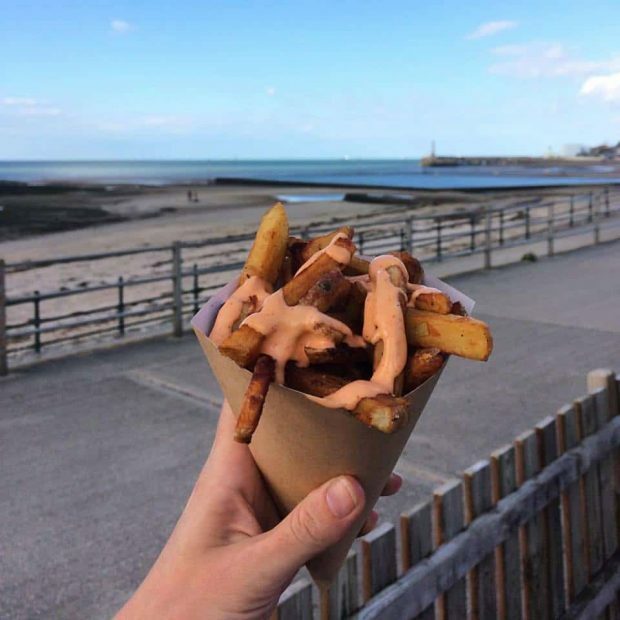 Jodie said: “We had a vision to turn it (The Sun Deck) into a street food destination for Margate, with independent businesses, high quality food, an ethos of shopping locally and ethically and making sure everything is recyclable. 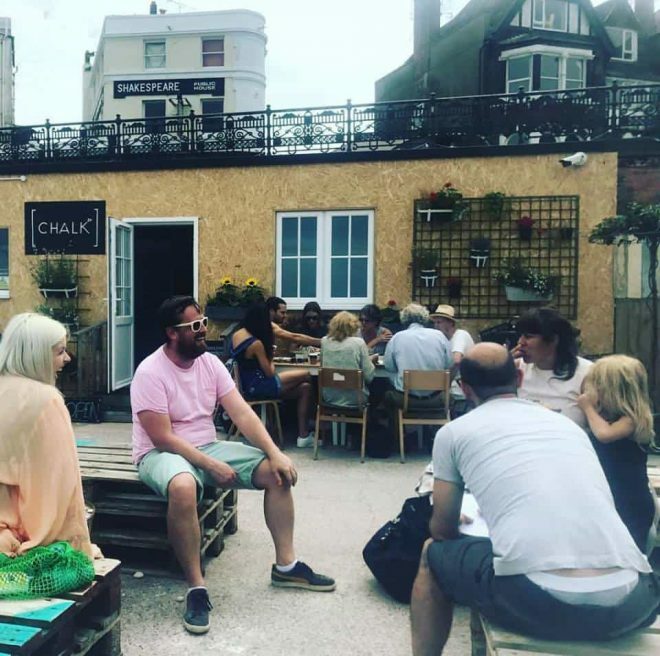 Chalk café has been at the Sun Deck for just over 6 weeks and is run by Carey Mann, who also opened Swedish coffee and food shop Mala Kaffe on the Stone Pier in March 2016. She has been joined in the venture by Margate resident and former Coca Cola CEO Clive Saffrey. The café offers an all vegan menu – although many would not be able to tell the hotdogs and kebabs from the meat versions. 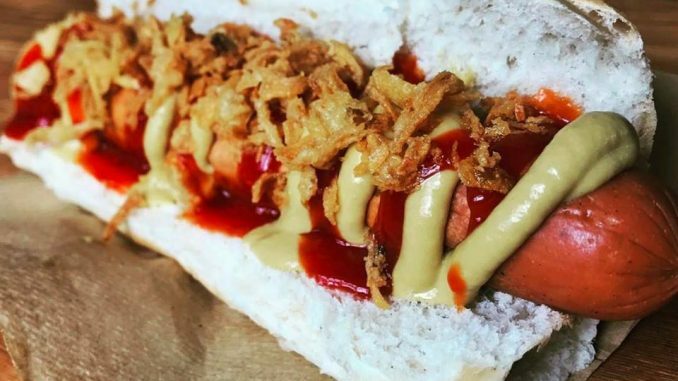 Although they look exactly as you’d expect, the hotdogs are made from pulses, grains and seitan (known as wheat meat), pulled pork is actually shredded Jackfruit and kebabs are again made from seitan. Other offerings include the Tin Miner double ender pasty which is savoury at one end and sweet at the other and seaside tart made from allotment vegetables. 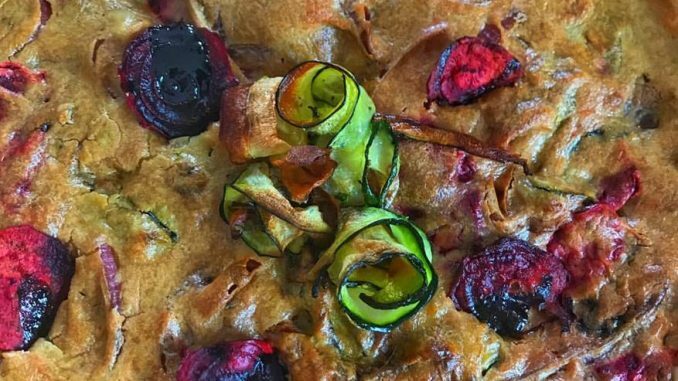 There are also vegan scones, Swedish style pancakes, trifle and more. 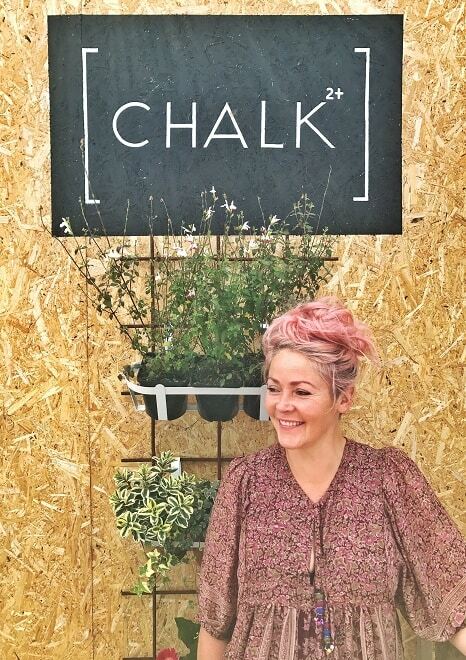 But Chalk is more than a café, it is also part of the Oasis Domestic Abuse Service Blossom project. Carey, who moved from London to Margate with musician husband Johan who has just created a stunning studio at All Saints industrial estate, said: “This project is more like a social enterprise than a business just taking money. “The social enterprise is with Oasis and started after contact with their outreach programme, Blossom. Women come out of the refuge but may be looking to build confidence and learn new skills so they can get back in the workplace. The vegan menu is being trialled, and seems to be a hit. 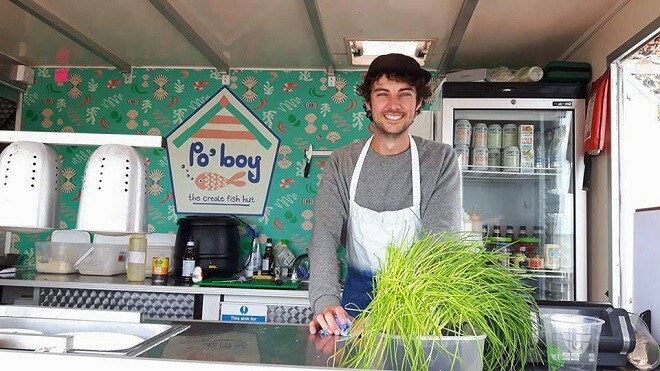 The Po’boy fish hut is run by former Ramsgate Music Hall manager Tom Batterbee. The 27-year-old set up on the Sun Deck just over four weeks ago and offers fish and chips but with added big flavours. 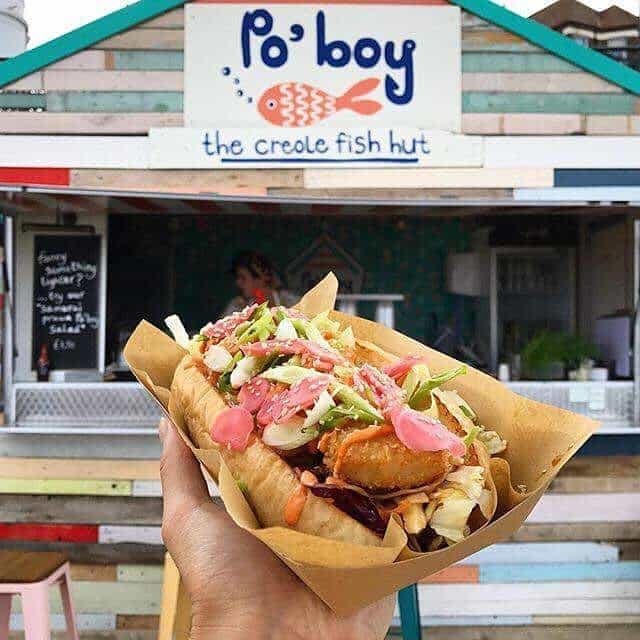 Customers can tuck into Po’ boy sandwiches, like the Samurai Prawn, Creole fish and chips with homemade sauces, scallops or amazing specials like the Benedict Breakfast Po Boy with Panko eggs, smoked salmon, watercress, Dijon mayo, lemon, and chives. Tom said: “I wanted to do fresh fish and chips like it should be but with tastes from around the world. I use fresh, seasonable and local ingredients. 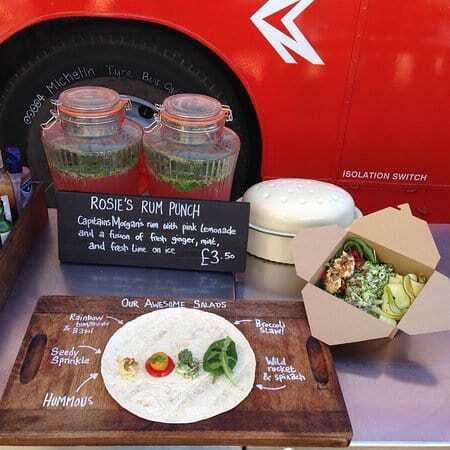 “I wanted to do a food van and was considering the harbour but then was offered a place on the Sun Deck. Delicious foraged cocktails and drinks. 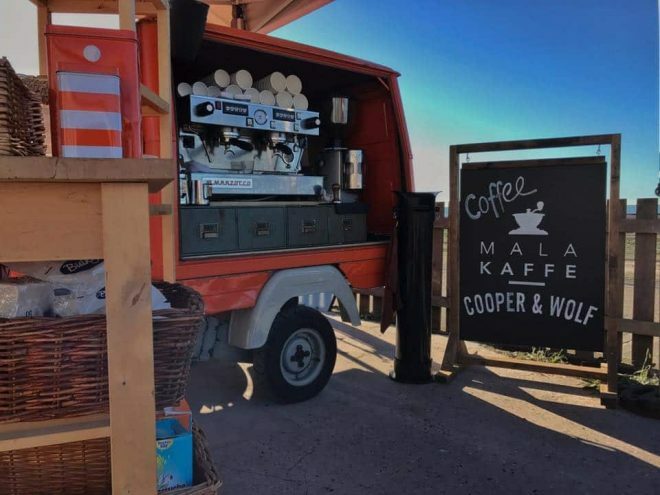 Serving coffee including espresso Martinis, this cart is a joint enterprise between Carey, of Chalk, and Sarah and Alex Ratcliffe, from the Tom Thumb Theatre, who ran the Swedish-themed Cooper and Wolf cafe in London before their move to Margate. The three previous worked together on a ‘Swedish’ Christmas event which sold out.